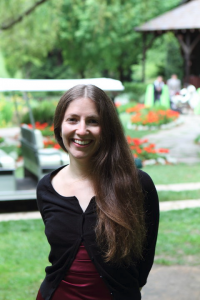 Shanna Shaked Joins CEILS as Senior Associate Director for Physical Sciences Initiatives! Dr. Shaked is a leader at UCLA in the use of evidence-based teaching techniques, particularly those that aid in the retention of underrepresented groups. She has also pioneered a range of interdisciplinary teaching collaborations with faculty across the UCLA Physical and Life Sciences. After earning her B.S. and B.A. in Physics, Astronomy and Mathematics from the University of Arizona, she received a Ph.D. in Applied Physics from the University of Michigan and a Master of Arts in Teaching from Ithaca College. Her research experience ranges across astrophysics, biophysics, environmental physics, pollutant modeling, sustainability, and ultimately physics education research. At UCLA, Dr. Shaked has initiated a range of evidence-based teaching techniques, such as an interdisciplinary undergraduate Learning Assistant program to promote active learning and inclusivity in large lecture courses. She is an expert in the implementation of pre- and post-tests and surveys to assess the effectiveness such educational interventions. The overall focus of Dr. Shaked’s efforts in CEILS is to identify and address the educational needs and interests of Physical Science faculty, and in so doing, support the academic success of all UCLA students. Connect with Shanna at shaked@ceils.ucla.edu.